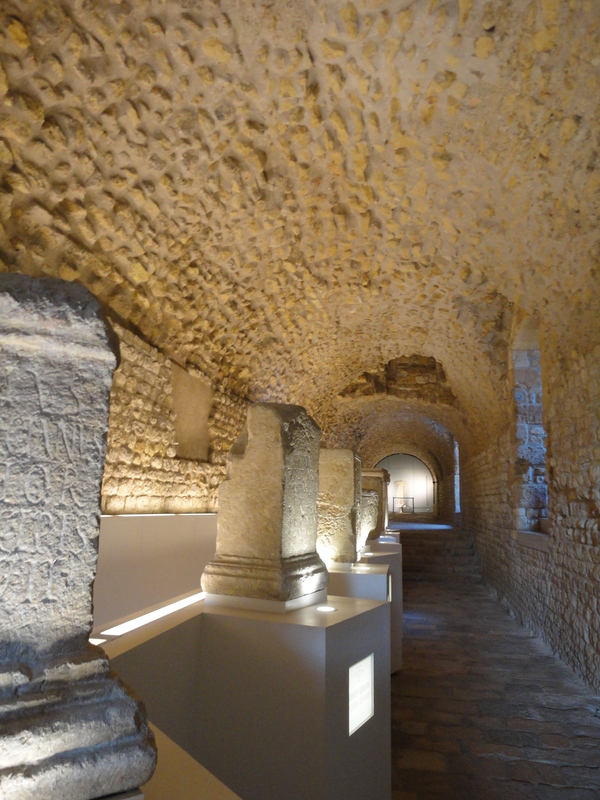 Tarragona, Spain – Part 1: the Roman City, Re-used. 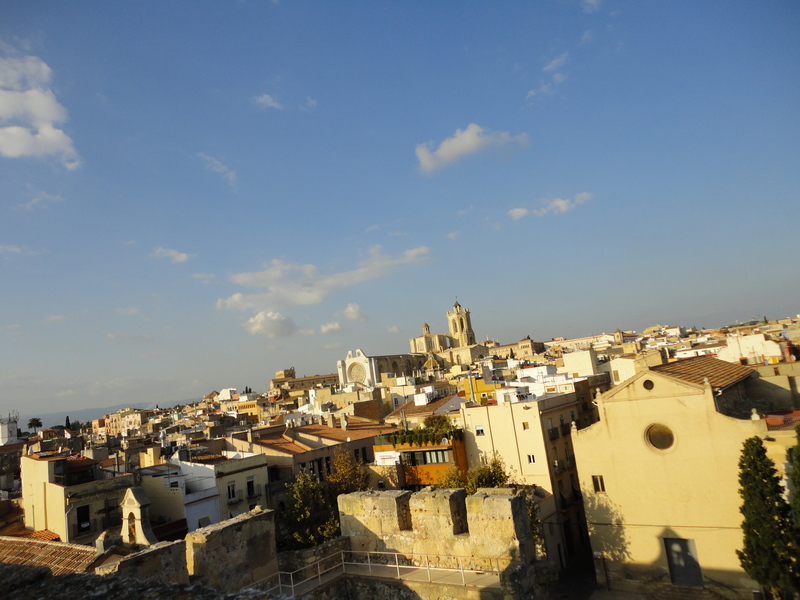 Taking the train from Barcelona to Tarragona was the greatest test of my Spanish that I encountered in Spain. Or rather, buying the ticket. But no, I’ve got to take that back too. It was not taking the train or buying the ticket, it was the three hour struggle with the pay phone in the train station that preceded the journey – a struggle which had to occur because our bank had mistakenly frozen Thom’s card despite having received notification that it would be used in Europe. It had never occurred to me that I might ever have to learn words that phones use, or that I would need to be able to understand them in a crowd, through static. The bank and pay phone conspiracy ate up a good part of the day that was supposed to be spent wandering through Roman ruins and finding secret cafes to sit at, and blood pressure was a little high when I bought the ticket. It wasn’t nearly as intuitive as the metro, and involved interacting with a person rather than a machine. I was made aware of a whole other set of words which I had not thought to learn. 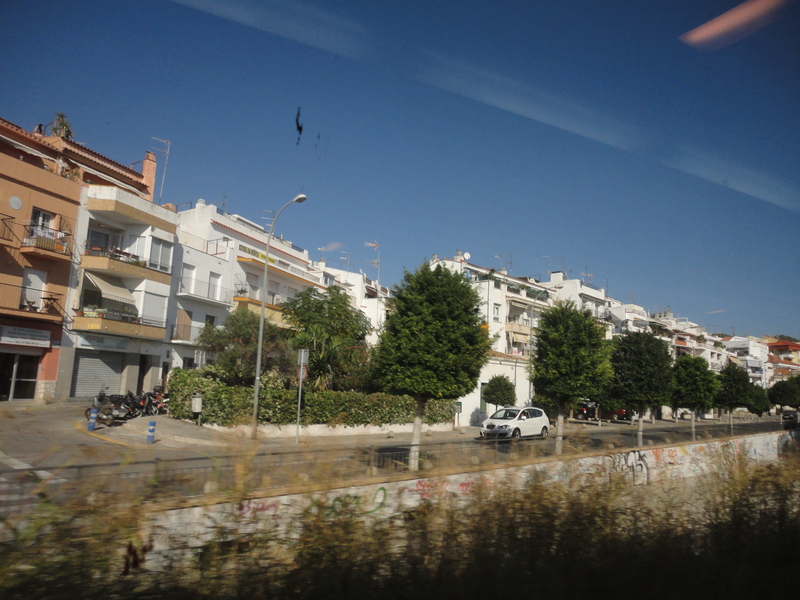 The train to Tarragona runs through Sitges, better known and, according to Trip Adviser, with pricier hotels. 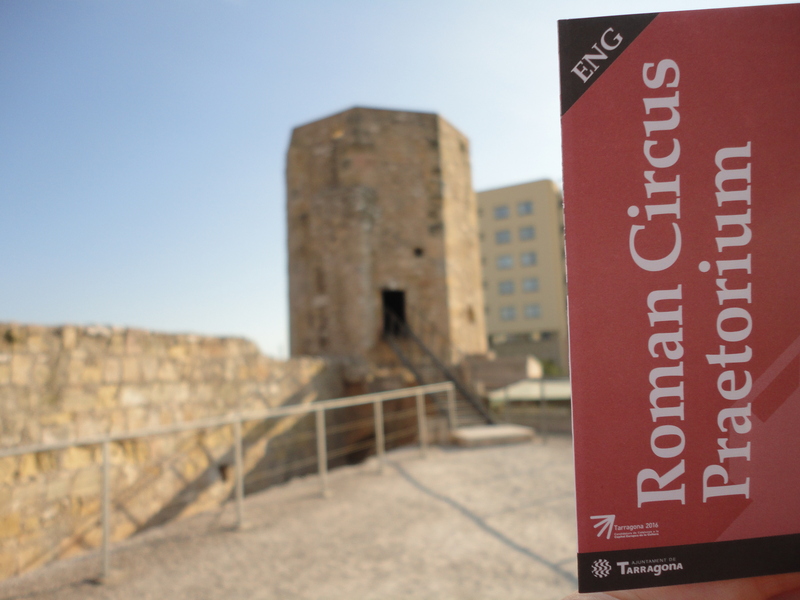 I would have liked to stop there too, but Tarragona’s Roman amphitheater was the first thing I’d seen in a Google image search that I HAD to see. From the station, the Amphitheater is a bit of a walk up a hill and around a sort of dead man’s curve. 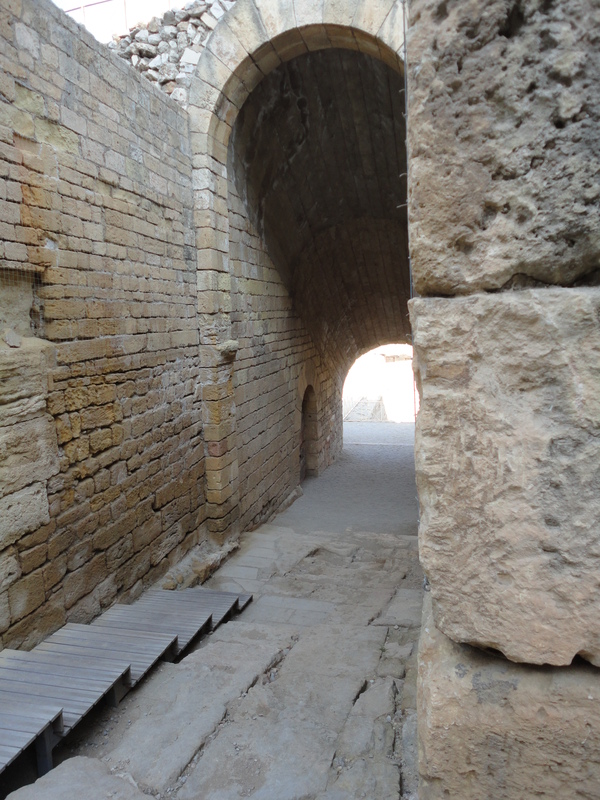 The ruin lies beneath at the end of the turn. 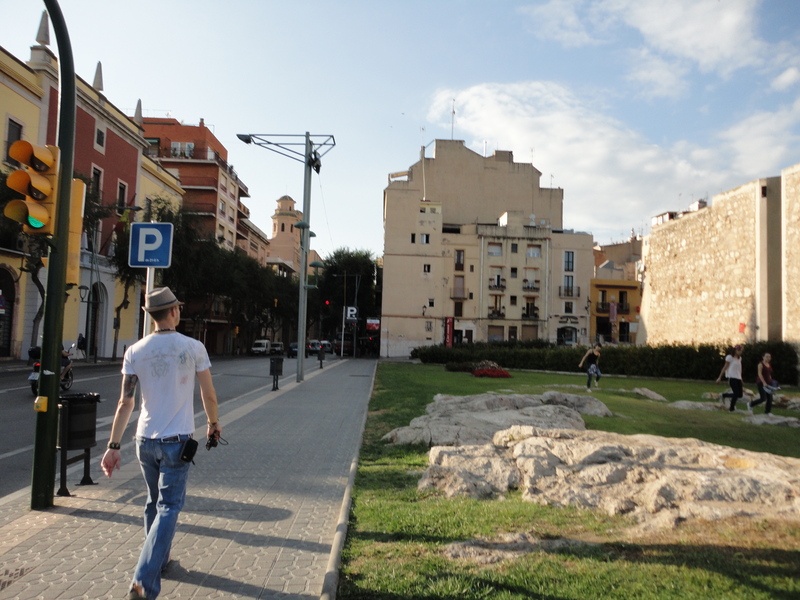 On the walk, we discovered, through signs, that Tarragona has more historic sites and ruins than we had known. We bought a passport like book that serves as admission to several sites, with a stamp added at each one. 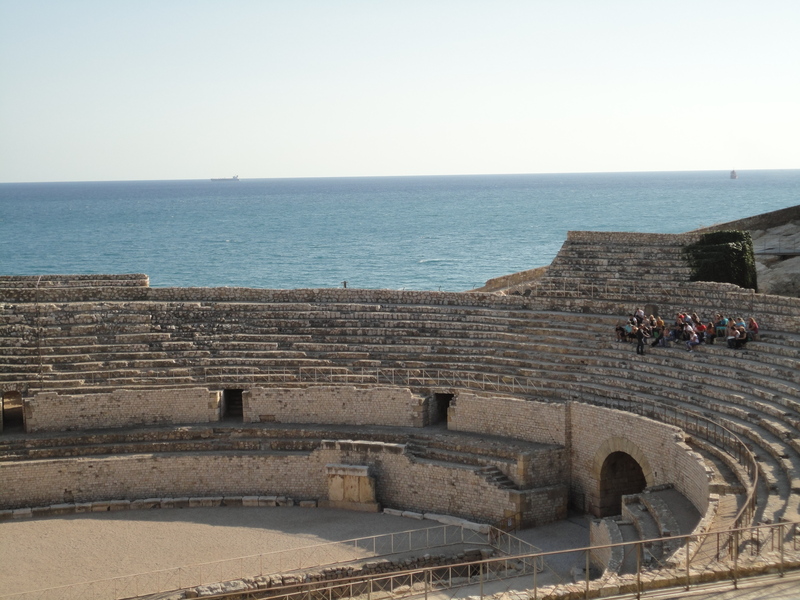 The amphitheater forms somewhat of a barrier between the town and the sea. 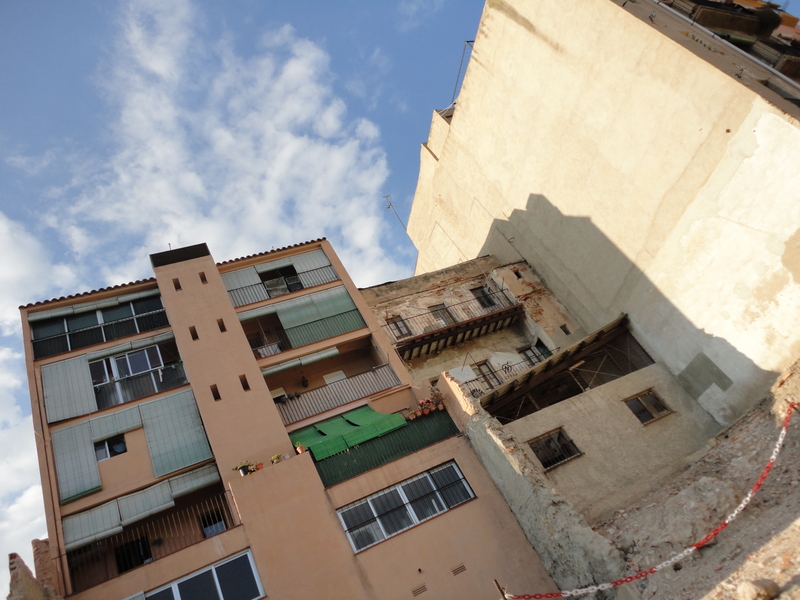 From the photos I had seen, I had formed the idea that there would be some sort of a lazy passage that would wander out of the ruins and down to the beach, but there is not. Or rather, apparently there was or is, but it is no longer open. 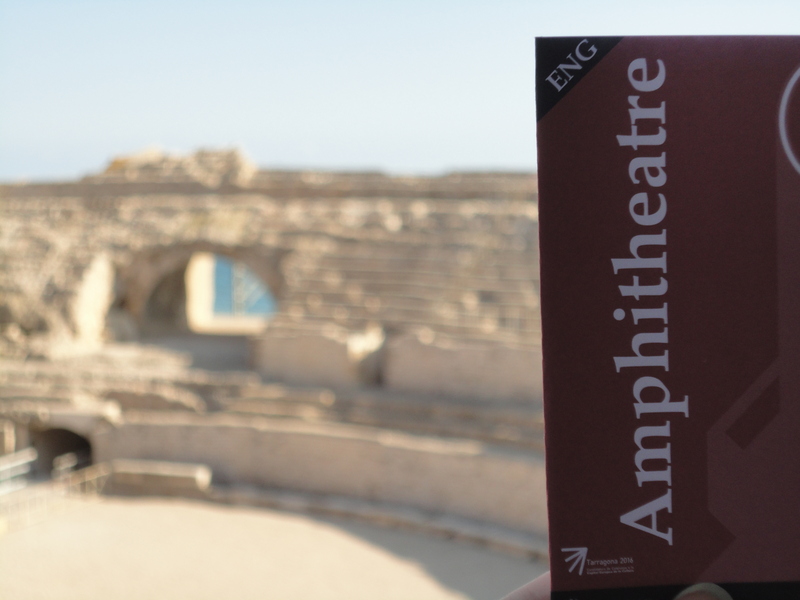 The beach is there to see, but not to access from the amphitheater. I also imagined that I would loiter, unrestricted, on the floor where spectacles had once been staged – but access to the lower part is restricted by rails and walkways. The stadium seats, however, are there for touching and climbing. 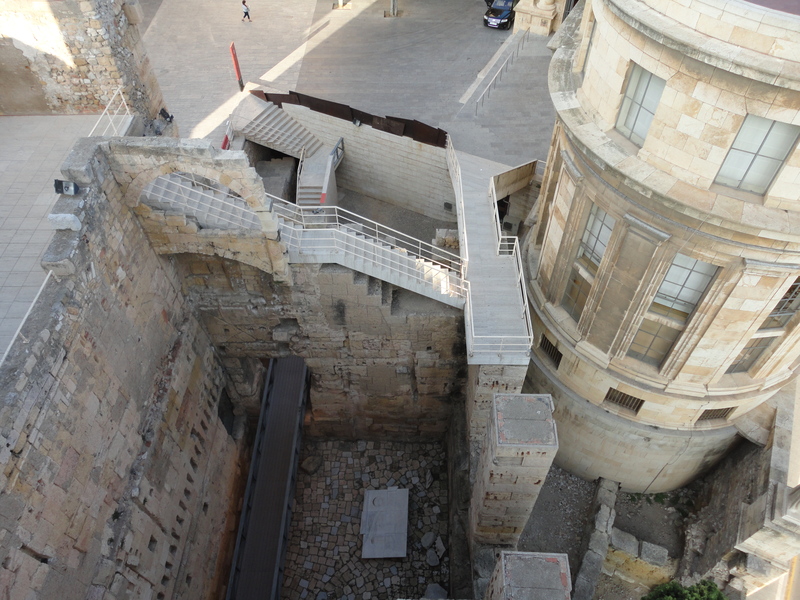 There was once a staging area under the arena, covered up by a board floor. 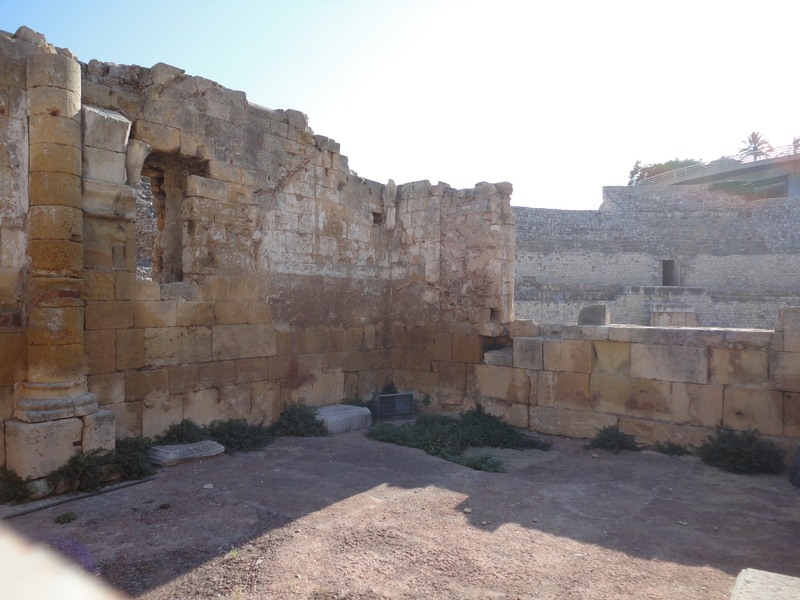 The arena was used for blood sports, gladiator fights and wild animal fights, and sometimes other types of entertainment. It also included a temple to the goddess Nemesis. 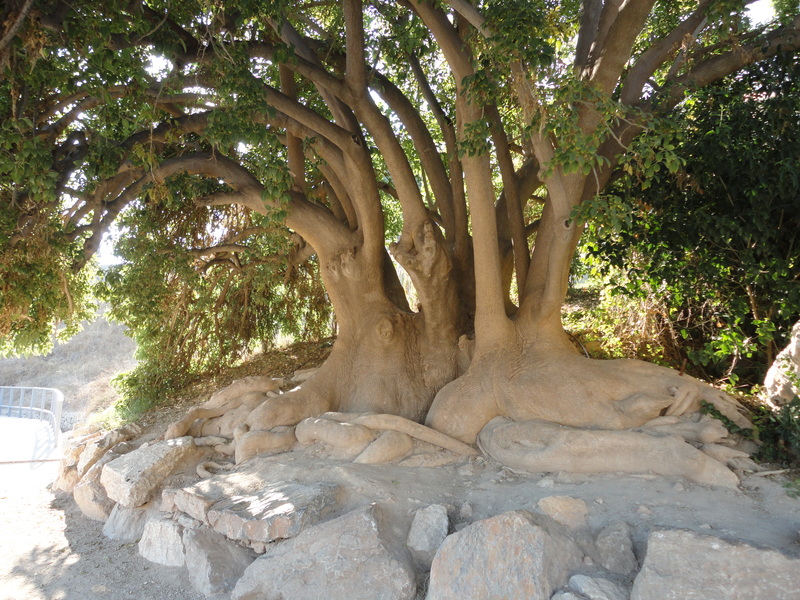 Later it was used for executions, and a Christian bishop, Fructuos and his followers Auguri and Eulogi were martyred there. 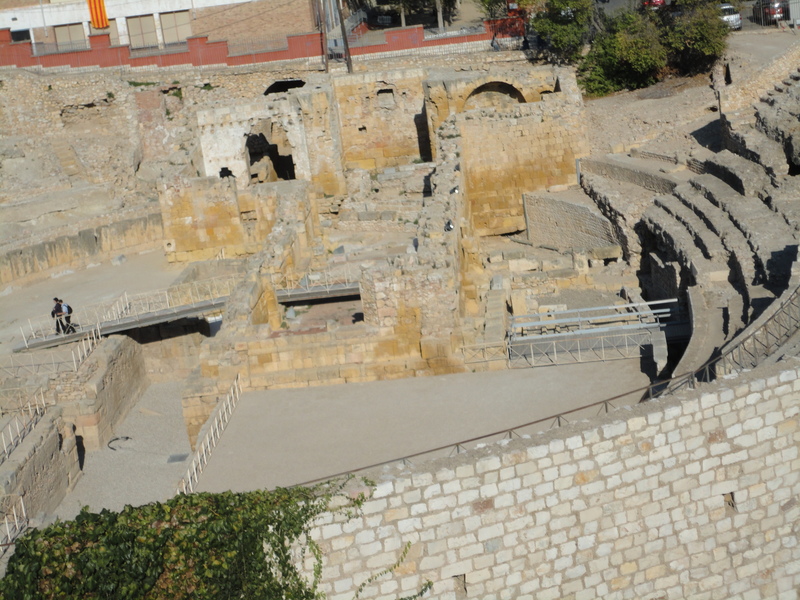 Later, when Christianity became prevalent, a basilica was built in the arena in their honor, using re-purposed parts of the amphitheater’s walls. The amphitheater was later further re-purposed, and a church dedicated to Saint Mary of the Miracle was built within its ellipse. 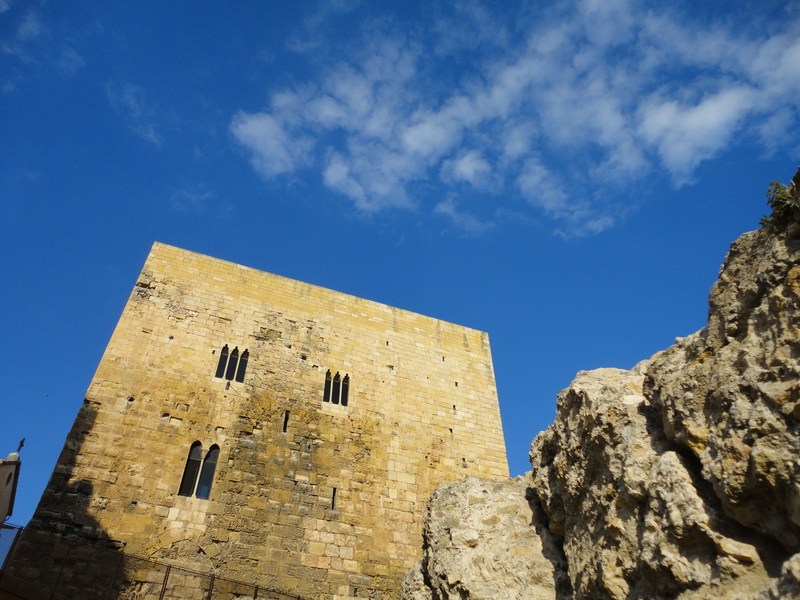 The church became a convent, and then a prison for the prisoners who were made to build the port. We loitered long at the amphitheater and then on the walk out had the epiphany that we might not have time to see everything. 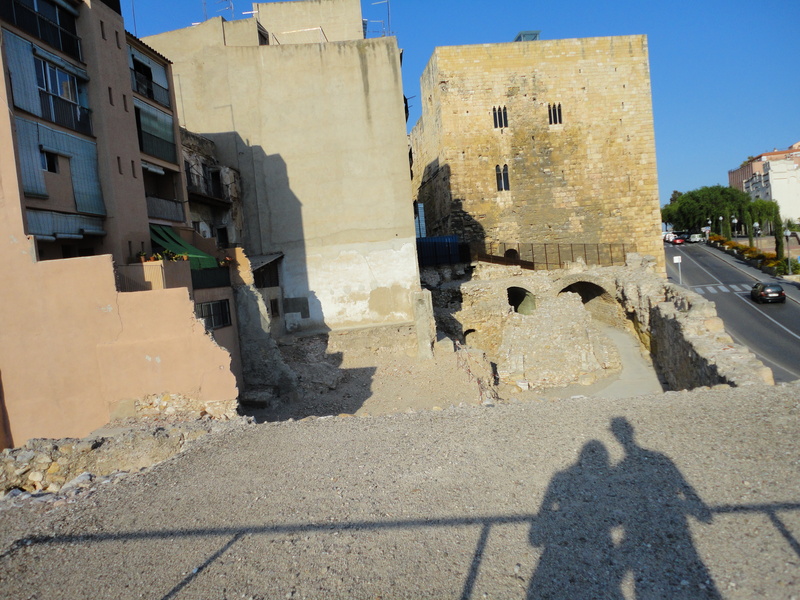 We walked quickly up a terraced stone path while I accused Thom of attempting to take pictures up my skirt. 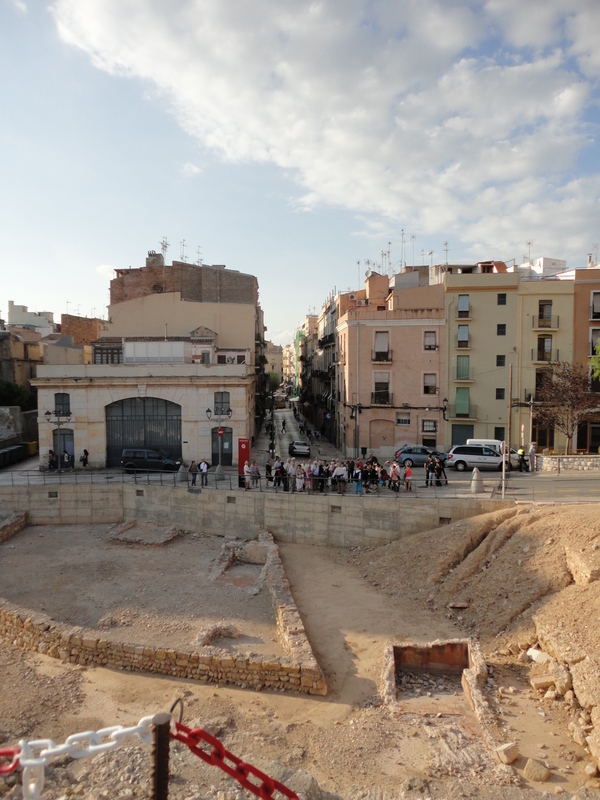 The path lead from ruins to currently used city, which was in turn broken by the Roman Circus Praetorium. The circus was used for chariot races, and then was re-used over and over again – as a castle, a military warehouse, a barracks… It was built over and over as well and so it does not appear to be as dramatically whole as the amphitheater on first glance, although the original is largely there beneath the changes. 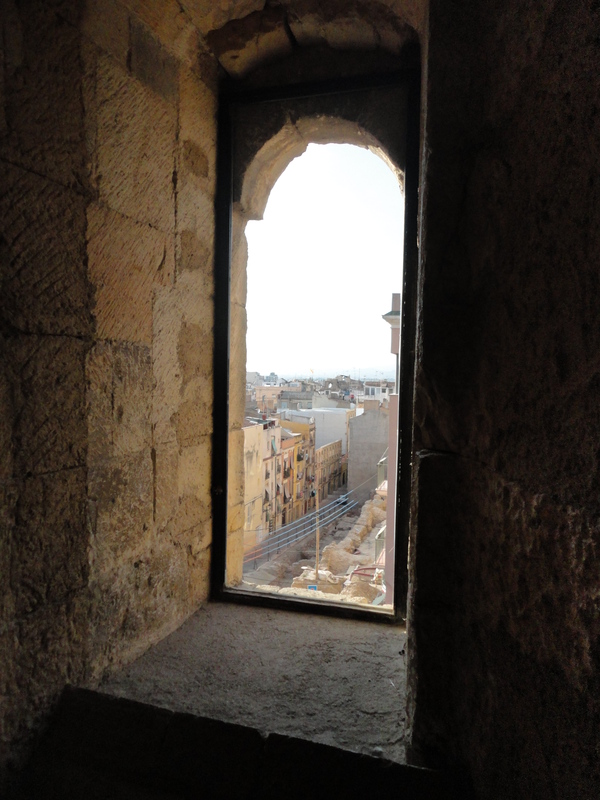 We went up a reconstructed staircase towards the sky and were able to look down into the Circus’ arena and to the town beyond. 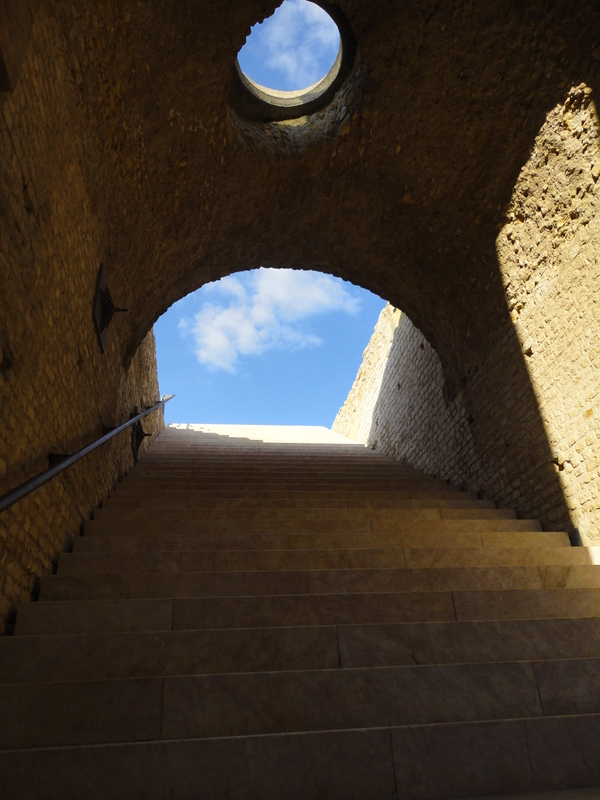 We had decided we had seen the circus and were attempting to leave the way we came when the attendant noticed us and pointed us towards a tunnel that we had over looked. 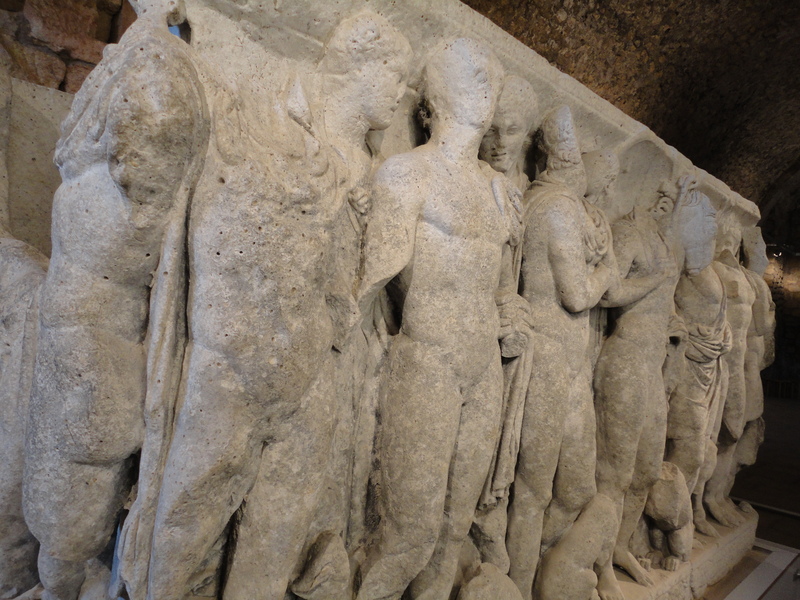 The tunnel lead through the underbelly of the Circus, and into a display of statues and artifacts. The amount of the Circus we almost missed was much more expansive than what we had believed to be the whole. Eventually we were lead up, out of tunnels, into a building of a different era. 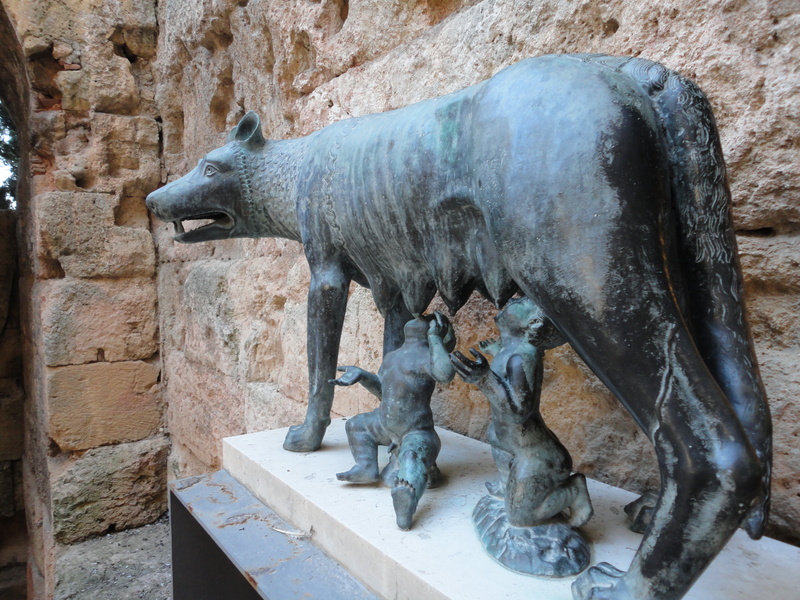 We passed a statue of Romulus and Remus and their wolf-mother. 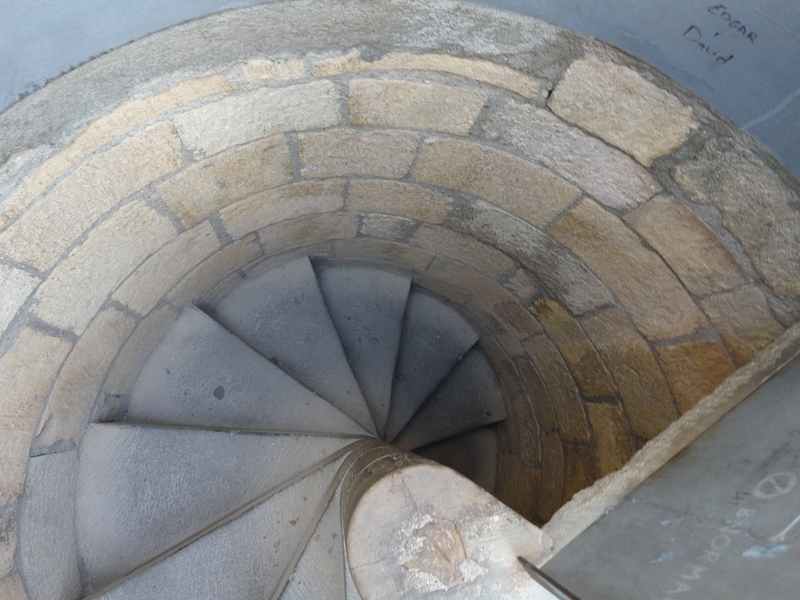 Dark stone arching ceilings gave way to towers and staircases, and eventually we found our way to the rooftop. 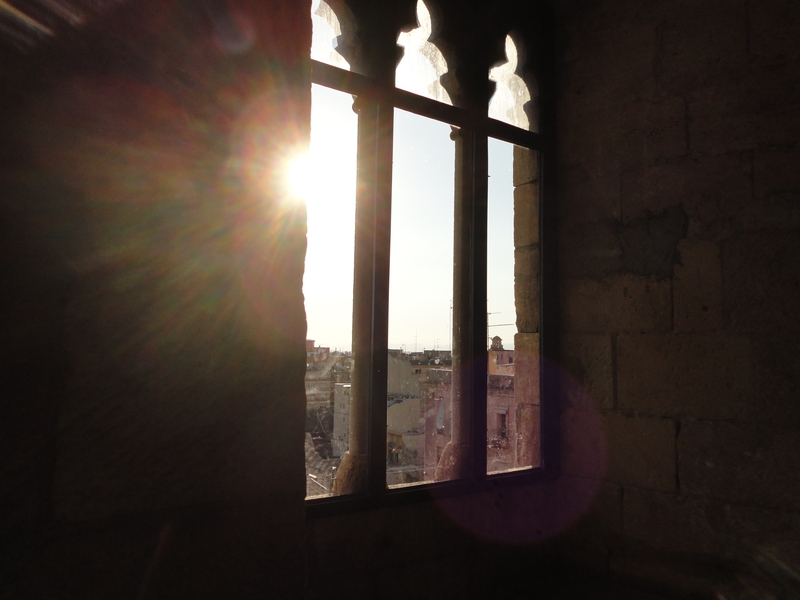 We stood between the sun and the town that we looked down onto like a map. Previous Post Love vs. Hate: 4 Things I Don’t Need a Trend to Love, and 4 Things a Trend Can’t Make Me Love.